Once, I threw myself a birthday party, secretly. At least I think I did it on the down-low. Enough chit chat, let's just look at the pretty pictures. 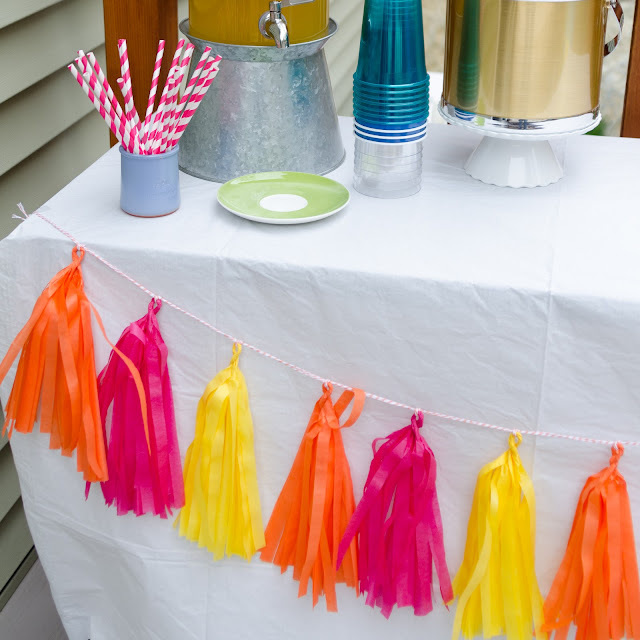 According to Pinterest, it ain't a party unless you have fancy paper straws and homemade tissue tassels suspended from bakers twine. 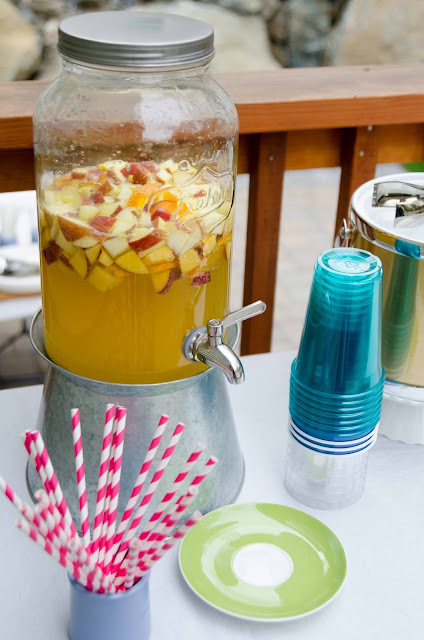 Sparkling sangria! Whut, what!? I used this ridiculous recipe which makes one super tasty AND super strong beverage. I was too cheap to throw the fruit out and cooked it down into a chunky compote after the party. Not shown, frosty margaritas and refreshing beers. Food! 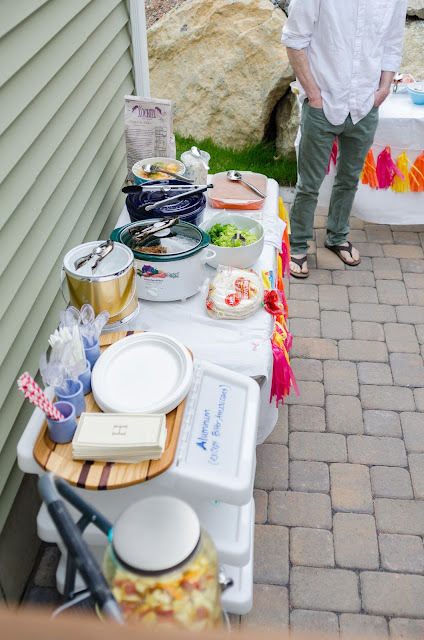 Potluck style. Carnitas. Enchiladas. Sriracha fruit salad (drool). Spanish style rice. 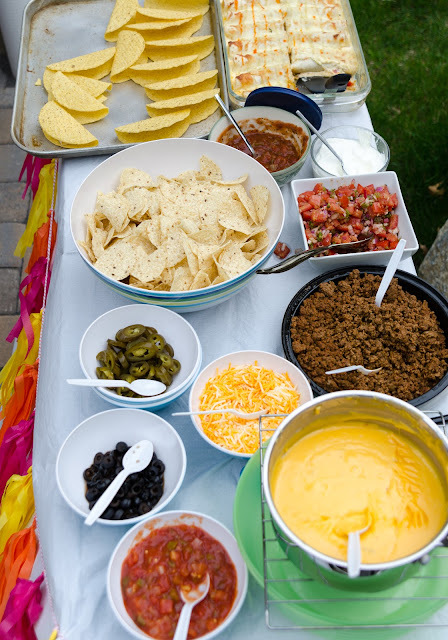 Oh and let's not forget the taco and nacho bar. Not sure how we had room for dessert, but we did. 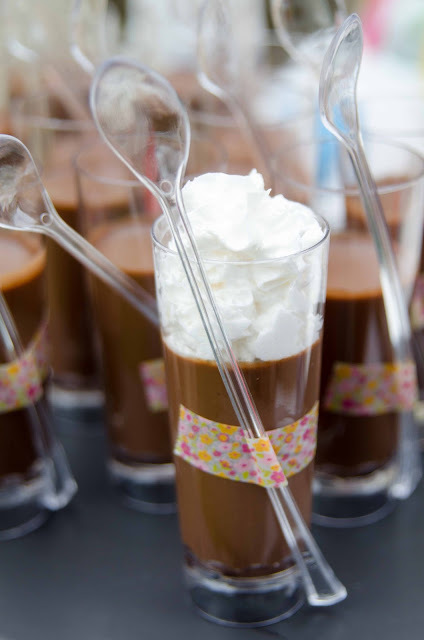 First up, Nom Nom Paleo's Mexican pot de creme. I left the cream off so that people could pick between real cream and soy whipped topping. Hey dairy doesn't like some of us. 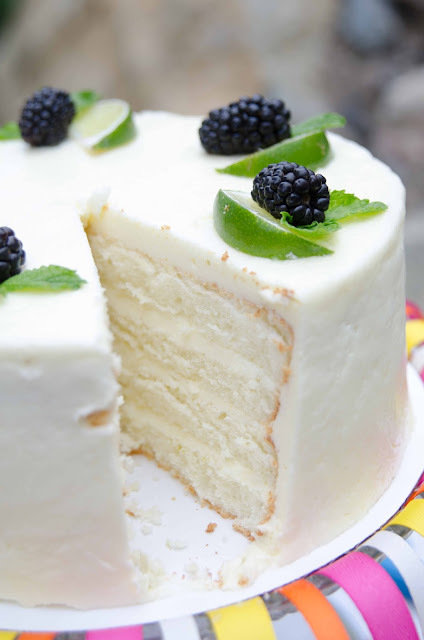 The cake was based on a this lime chiffon cake recipe I found on the interwebs. The frosting is my reduced butter swiss meringue buttercream infused Patrón and lime juice. 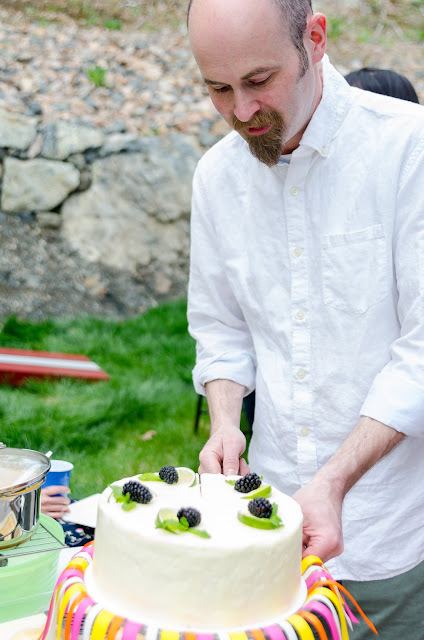 In case you are wondering, I have yet to recreate this cake.